One advantage of these combi blinds is that these are easy to upkeep because it doesn’t require washing and can be cleaned simply with the use of a vacuum cleaner or damp cloth. It isn’t untidy to look at because it access less dirt and if it does, dirt isn’t very visible unlike curtains with prominent smudges or stains. Another thing is that it can block distasteful insects and is a type of roll up blinds where mosquitoes cannot live. Also, the materials that make up combi blinds are more durable, long lasting and are classy and aesthetic. What makes combi blinds different from the other types of blinds is that it is made up of alternating solid and sheer or stripe parts. And this factor allows a more flexible light adjustment. 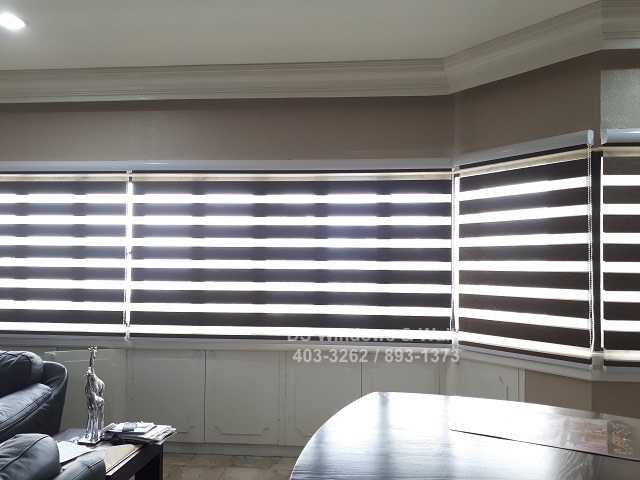 Whether clients want the room bright, a little dim or completely blocked from sunlight, they will be able to customize shades of light intake with these dual shade blinds. And whichever shade of light intake a room has, these combi blinds greatly contribute to how the room appears. This means that combi blinds contribute in maintaining any chic look that a client chose for the room. Looking at our featured product from one of our clients, it is eminent that combi blinds created a lasting effect that makes the rooms cool and chilly, regardless of the light preference. The alternating dark and light brown parts of the combi blinds went well with the dirty white-pure white scheme of the rooms. Now, it is evident that the blinds created a character and a unique vibe for the room, making it appear simply stylish but aesthetic. Aside from this, the combi blinds also proved its part in providing privacy and isolation to a room. Nowadays, it is practical to opt for alternatives that will make one’s life easier yet functional. With combi blinds or zebra blinds, one can decorate an interior while also benefiting from its other conventional purposes. It doesn’t end there because combi blinds still have its own types and varied styles for clients to choose from. 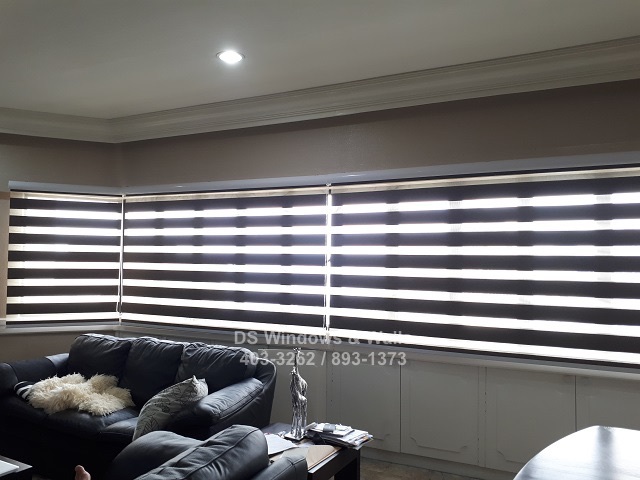 For more information on our combi blinds and shades do not hesitate to contact us at (02) 403-3262, (02) 893-1373, (02) 668-9668 or email us at inquiry@dswindows.com. You may also visit us at our mall sales branches. We offer free estimate if within Metro Manila. 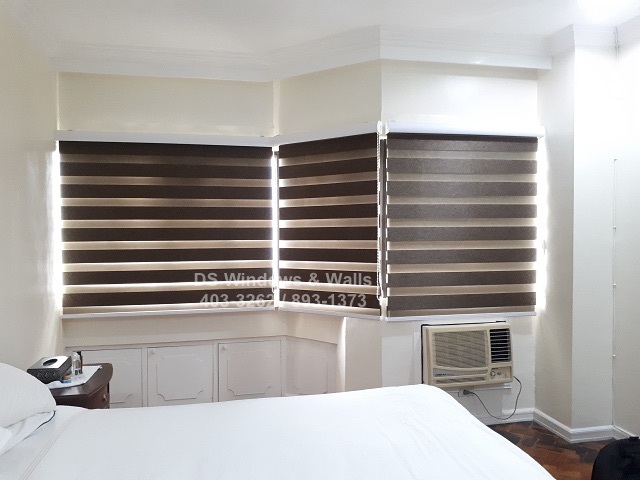 For combi blinds for Batangas, Cavite, Laguna you may also call Patrick Villapando at (Globe) 0917-583-0214 or (Sun) 0922-592-6111 or 0908-989-4676.